Smoking marijuana or administration of its main active constituent, THC, may exert potent dilating effects on human airways. However, the physiological significance of this observation and its therapeutic value are obscured by the fact that some asthmatic patients respond to these compounds with a paradoxical bronchial-spasm (constriction of the air passages of the lung). The mechanisms underlying these contrasting responses remain unresolved. Here we show that endogenous cannabinoid anandamide exerts dual effects on bronchial responsiveness in rodents: “It strongly inhibits bronchial-spasm and cough evoked by the chemical irritant, capsaicin, but causes bronchial-spasm when the constricting tone exerted by the vagus nerve is removed." 1970s --US professor Donald P Taskin said, "Recent studies demonstrated significant, acute bronchi-dilation in healthy young men after they smoked marijuana". According to Dr Tamás Freund of the Institute of Experimental Medicine of Budapest, the knowledge gleaned from this research could alter the way respiratory illnesses are treated. Research in Hungary, Italy and the US indicates that while some asthma sufferers are prone to coughing when exposed to elements of the drug, others seem to be less affected by such irritation when lung muscles are tensed. Colleagues at the University of California, Irvine, found that induced bronchial constriction is antagonized by anandamide, a substance with the same properties as cannabinoids, a material found in marijuana. "The contribution of my laboratory was to localize the molecules released by anandamide and its effect on nerve fibers in order to ease the muscles, helping reduce the substance that constricts the muscles. Asthma is the shortness of breath and wheezing caused by spasms of the bronchial tubes, overproduction of mucus, and by swelling of the mucous membranes. Clinical research indicates that THC in both synthetic and natural forms acts as a bronchial dilator that clears blocked air passageways and allows free breathing. Marijuana smoking, on the other hand, is like walking swiftly in a field of daisies. Our veins dilate, our arteries dilate, and toxins are swiftly moved out of our organism because our heart is pumping more quickly. During the marijuana experience, the pipes are bigger for elimination, the pump is stronger and the oxygenation is significantly increased by the relaxation of the lung's tiny air sacs and the relaxation of the musculature surrounding the lung, thereby facilitating even greater inhalation of the universal nurturance and exhalation of all impurities. The most reliable acute effect of exposure to cannabis smoke is bronchi-dilation (National Academy of Science, 1982), which has principally been of interest because of its possible therapeutic effect upon asthma Other than bronchi-dilation, it has proved difficult to demonstrate any effects of acute cannabis smoking on breathing "as measured by conventional pulmonary tests" (National Academy of Science, 1982, p58). A general study of the effects of marijuana on respiration revealed a bronchi-dilating action in normal volunteer subjects. Asthma was deliberately induced by either inhalation of methacholine or exercise in asthmatic patients. They were then treated with inhalation of placebo marijuana, of saline, of isoproterenol, or of smoke derived from marijuana containing (1 g ram) of THC. Both marijuana smoke and isoproterenol aerosol effectively reversed both methacholine- and exercise¬-induced asthma, while saline and placebo marijuana had no effect. Aerosols of placebo¬-ethanol, of THC (200 µg) in ethanol, or of salbutamol (100 µg) were tested in another study of ten stable asthmatic patients. Forced expiratory volume in 1¬s forced vital capacity, and peak flow rate were measured on each occasion. Both salbutamol and THC significantly improved ventilator function. Improvement was more rapid with salbutamol, but the two treatments were equally effective by the end of the trial. Both (delta¬8 and delta¬9¬) THC have bronchus-dilating effects, while neither cannabinol nor cannabidiol have no such actions. Thus, this action resides only in the psychoactive material. No evidence of tolerance to this effect developed over 20 days of continual administration. The traditional use of Cannabis as an analgesic, anti-asthmatic, and anti-rheumatic drug is well established. Our results would suggest that cultivation of Cannabis plants rich in CBD and other phenol substances would be useful not only as fiber-producing plants but also for medicinal purposes in the treatment of certain inflammatory disorders. Clinical research shows that THC acts as a bronchial dilator, clearing blocked air passageways and allowing free breathing. In one study, marijuana “caused an immediate reversal of exercise-induced asthma and hyperinflation.” “Numerous cases of asthma have been treated successfully with both natural and synthetic THC. “ In one report, a young woman used marijuana with her doctor’s approval. Over the course of several years, her attacks were almost completely cured with low doses of inhaled cannabis smoke. Some asthmatics who have found relief with synthetic THC often voice a preference for natural cannabis over Marinol. 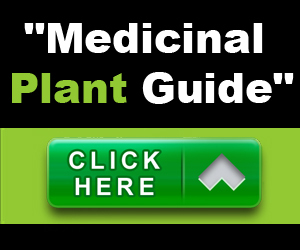 Marinol is less effective than natural cannabis and has far greater psychoactive properties. The Institute of Medicine and other medical authorities have recommended alternative methods of administration. Plans for a non-combusting THC inhaler received attention for many years. Designers have failed to produce a workable proto type thus far. Acute doses of cannabis and THC exert a definitive bronchodilator effect on the small airways of the lungs. The mechanism of this effect is not known, but it appears to be different from that of other drugs used at present as bronchodilators for asthma. However, there have been very few studies on the bronchodilator effects of cannabinoids in asthmatic patients. All of these were studies carried out in the 1970s. Smoked cannabis was also capable of reversing experimentally induced bronchi-spasm in three asthmatic subjects. Williams et al. compared a THC aerosol containing 0.2 mg THC with a salbutamol aerosol (0.1 mg) in 10 asthmatic subjects. Both drugs significantly improved respiratory function. The onset of effect was more rapid with salbutamol, but the effects of both drugs were equivalent at one hour. Cannabis products can be taken orally to avoid the combustion problem. To decrease the amount of inhaled carcinogens cannabis or THC (should) be inhaled by a vaporizer. In several situations, a combination of a basic oral medication and a (demand-inhaled) medication in acute asthma attacks may be useful to reduce the risks from smoking and the risk of over-dosage with oral administration. 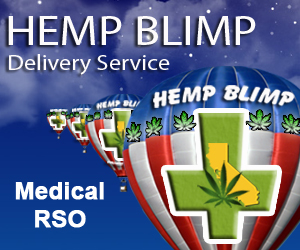 The availability of a THC aerosol is desirable. In animal studies with guinea pigs and rats, anandamide exerted a dual effect on bronchial responsiveness. If an irritant (capsaicin) constricted the muscles in the lungs, the endocannabinoid relaxed the smooth muscles and strongly inhibited coughing. However, if the airways were relaxed (by removing the constricting effect of the vagus nerve) anandamide caused a coughing spasm. Anandamide is synthesized in lung tissues and its effects are mediated by cannabinoid receptors. Medical Marijuana – Asthma Jun 14, 2008 Numerous cases of asthma have been treated successfully with both natural and synthetic THC. Asthma is the shortness of breath and wheezing caused by spasms of the bronchial tubes, overproduction of mucus, and swelling of the mucous membranes. Asthma kills more than 4,000 Americans each year. Clinical research shows that THC acts as a bronchial dilator, clearing blocked air passageways and allowing free breathing. In one study, marijuana “caused an immediate reversal of exercise-induced asthma and hyperinflation.” Numerous cases of asthma have been treated successfully with both natural and synthetic THC. In one report, a young woman used marijuana with her doctor’s approval. Over the course of several years, her attacks were almost completely cured with low doses of inhaled cannabis smoke. Some asthmatics who have found relief with synthetic THC often voice a preference for natural cannabis over Marinol. Marinol is said to be less effective than natural cannabis and has far greater psychoactive properties. The Institute of Medicine and other medical authorities have recommended alternative methods of administration. Plans for a noncom busting THC inhaler received attention for many years, yet designers have failed to produce a workable prototype. Asthma --- For the past 3,000 years or more, cannabis has provided welcome relief for countless numbers of asthmatics. It was widely used for that purpose in the 19th century. The inhalation of marijuana smoke causes bronchial dilation lasting up to 1 hour. The bronchodilator effect of orally ingested THC lasts up to 6 hours, but it is not as powerful as smoking marijuana. THC aerosols are not as effective as smoking marijuana because aerosolized THC has an irritating effect on the air passages. L. Vachon, et al., reported that 0.7 mg. THC in a micro-aerosol proved to be up to 60% effective as a broncho-dilator, with minimal mental effects and no parasympathetic effects. J. Hartley, et al., found that administration of minute doses (50-200 micrograms) of THC by inhalation increased the peak expiratory flow and forced expiratory volume in 1 second in a dose-related manner. The effects last 4 hours. D. Tashkin, et al., explored the anti-asthmatic effect of THC, and found it to be useful against the encroachment of emphysema. R. Gordon, et al., confirmed the anti-tussive effect. Cannabis also has been used with success in the treatment of whooping cough. In 1955, J. Sirek reported on the importance of hempseed in tuberculosis therapy, but the discovery has been largely ignored since then.